Coachman Collection - Garage Doors Manhattan Beach | G&G Garage Door Co. The classic look and feel of wood. The strength and durability of steel. Elegant carriage house designs that are virtually maintenance free. The look and feel of wood combined with the durability and ease of steel gives your home the classic elegance created for today’s active lifestyle. 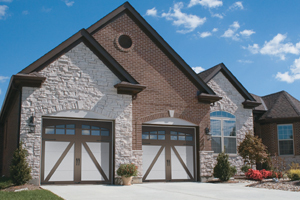 These garage doors will make you the envy of the neighborhood with security on top of style.